James Marsden Dating British singer Edei; Are They Getting Married? 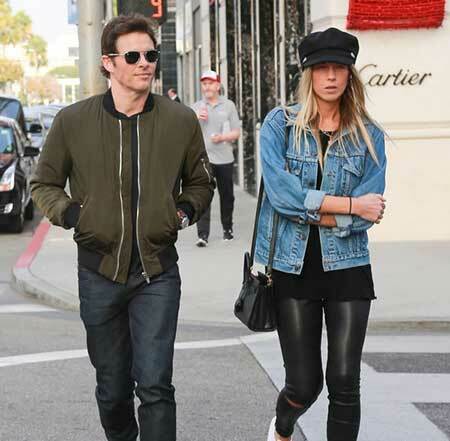 Hollywood actor James Marsden who was married to Lisa Linde is currently dating English singer Edei. The longtime pair has been going quite strong in their relationship. American actor James Marsden is about to join the cast of Quentin Tarantino's movie 'Once Upon a Time in Hollywood' with some famous faces Brad Pitt, Margot Robbie, and Leonardo DiCaprio. As he is creating headlines for his upcoming project, his personal life is also emerging; grabbing everyone's attention. Living 11 years long married life in past, the father-of-three is currently in a relationship with English singer Edei. Wanna know details? Let get in! It seems that the 44-year-old X-Men actor is very serious in love and relationship this time. He's been going on quite stronger with his longtime love, British singer Edei, 29, whose real name is Emma Deigman. Marsden and English singer first sparked dating rumors in September 2015 when they celebrated their birthdays together. Edei posted a number of pictures from the day on her Instagram and we could clearly notice that the star was present in many of the photos. After that, they were spotted out and about together in New York City time and time again. Well, The Box star joins his girlfriend onstage many times. Marsden and Edei performed a duet cover of Ed Sheeran's 'Thinking Out Loud' in February 2016. Marsden was recently spotted in his cowboy boots and hat as he walked through LAX with Edei back in May 2018. The couple looked picture perfect as both of them donned black leather jackets. The heartthrob paired his jacket with a white Cotton Citizen T-shirt and dark pants while the songstress coordinated with her handsome beau wearing a black T-shirt and a dark blue sweat. It's been more than three years and the pair is still going stronger with time. We hope to see them walking down the aisle soon! It's definitely due to his passion for singing he met his future wife Mary Elizabeth "Lisa" Linde, daughter of American songwriter Dennis Linde. It's quite unclear how things started to flourish but we can simply make a guesswork how everything went on between the two. It's a happy news for his fan followers when the star tied the knot to his wife Lisa Linde on 22 July 2000. 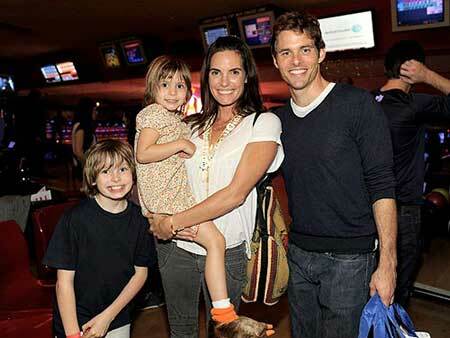 The couple has two kids a son named Jack Marsden born in February 2011 and a daughter, Mary James Marsden born in 2005. Everything went on so smooth that people barely expected the two would ever separate apart. Their relationship finally came to an end after 11 years living together. According to TMZ, Linde cited some irreconcilable differences between the two. They were last spotted together in public while attending the LA premiere of Marsden's Easter movie, Hop on 28th March 2011. One more of my boy @jackmmarsden #oversharingprouddad ?? Though the couple separated, the star is very proud of his son. He supported his 16-year old son when he hit the runway making his Dolce & Gabbana debut during Milan Men’s Fashion Week Fall/Winter 2018/19 in Milan, Italy. Months after an official divorce, Marsden dated Brazilian model Rose Costa. The 30 Rock actor discovered that his girlfriend was pregnant after spending a night in Miami. She gave birth to their son, William Luca Costa-Marsden in December 2012. Shortly after welcoming their baby boy they broke-up with one another. 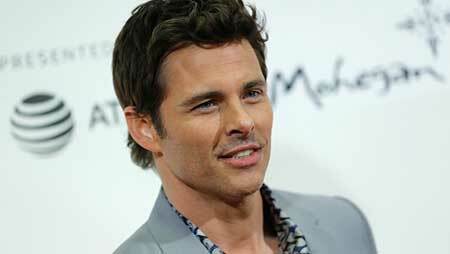 Born on 18 September 1973 in Stillwater, Oklahoma to the family of James Luther Marsden and Kathleen (née Scholtz). He studied at Hefner Middle School and Putnam City North High School in Oklahoma City. He also attended Oklahoma State University where he studied broadcast journalism. He began his career as a Versace model. He gained wide recognition playing in the X-Men film series and Superman Returns. He played the lead role in 27 Dresses and The Best of Me. He has an estimated net worth of about $8 million as stated by the Celebrity net worth while it's about $4 million as of the Richest.